Card has no value until activated by cashier. For balance inquiry or customer service, call 1-888-532-6092. 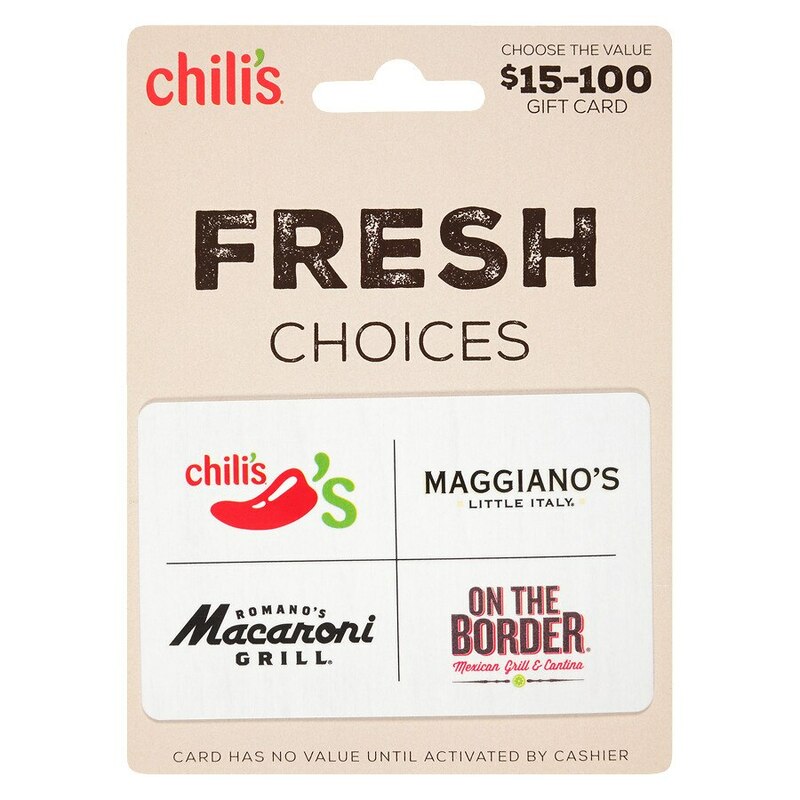 You may redeem this card for food or beverages at any Chili's Grill & Bar, Romano's Macaroni Grill, Maggiano's Little Italy or On The Border Mexican Grill & Cantina restaurant in the U.S. Card my not be redeemed for cash, except as required by law. Original activation receipt is required for replacement of lost or stolen gift cards. No service fees are charged in connection with this card. Issued by Brinker Services Corporation. For location information, visit www.brinker.com. WARNING: Walgreens engages in the money transmission business and/or sale of stored value products as an authorized delegate of InComm Financial Services, Inc. under Chapter 151 of the Texas Finance Code.